Choose from a selection of animal shapes. Unicorn, Pegasus, Dolphin, Duck, Horse, Owl, Lion, Monkey, Gecko, and Giraffe. 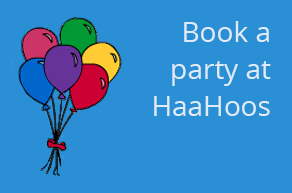 Party package price includes the studio fee, items to paint, drinks (orange and blackcurrant fruit squash), foam clay, helium balloons for each guest and basic party bags for each guest.